Recently I visited a neighbour island Dominica (do not confuse it with the Dominican Republic). The island is very green and lush and with lots of rainforest. The ecolodge (banana lama ecovillage) where we stayed was growing their own cacao so Andy, the owner, showed me how to process the raw cacao. I read an article about Dominican Cacao Tea and after some experiments I made the most delicious Cacao Tea!! It resembles chocolate milk but this one is not too sweet, a bit bitter and with a very deeply chocolaty flavour. Dominican Tea culture is influenced from their colonial era when plantation workers used to have tea at sunrise before going to work, the word tea is often used to replace the word breakfast. 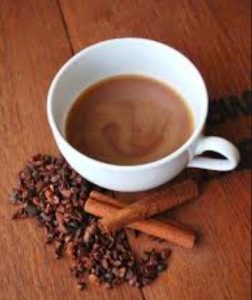 In Dominica cocoa is a staple crop, which makes cocoa tea a common drink all day long especially in the morning. The tea is served hot and often accompanied by banana fritters. Cacao has been celebrated for centuries in Mexico, Central and South American cultures because of its delicious taste and exceptional nutritional value. 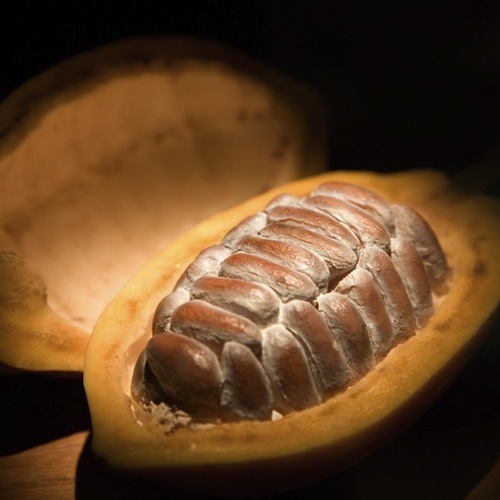 Aztecs have used cocoa beans as a means of payment. Various Mayan rituals, festivals and celebrations are dedicated to the cacao honor and the Latin name means “Food of the Gods”. 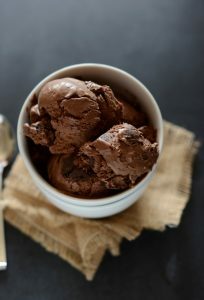 – Antioxidants; According to research quoted in The New York Times, fresh cocoa beans are rich in flavonol, an antioxidant. Cocoa beans contain about 10 grams of flavonol per 100 grams. This makes cacao one of the richest sources of antioxidants. – Cocoa is a major source of serotonin, dopamine and phenylethylamine, three well-studied neurotransmitters that help relieve depression. All this makes cocoa a natural antidepressant! All of the above benefits relate to 100% pure cocoa and not the chocolate bars you can buy in the supermarket. Chocolate bars contain many sophisticated sugars and dairy and only a percentage of the good properties of raw cocoa beans. Today, natural food stores have a large selection of raw cocoa powder and chocolate bars with a high percentage of cocoa. And there are online stores that sell raw cocoa beans. How do you use the cocoa beans. 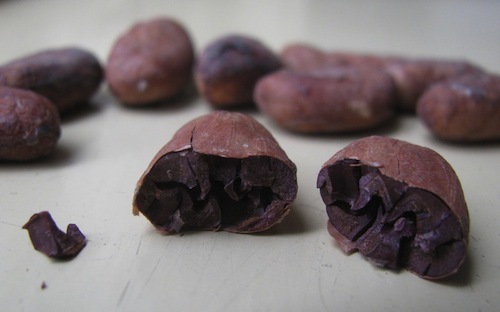 Cocoa beans have a strong dark bitter chocolate flavor. You can eat or grind them to a rich dark powder using a coffee grinder. 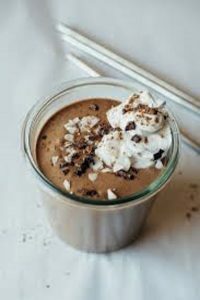 From the powder, you can make desserts or toppings, stirring or adding it to your favorite smoothies or to a sports / snack bar with goji berries and raisins. 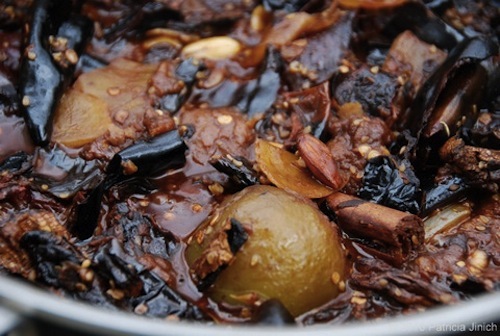 The ground cacao is also an important ingredient in a number of savory foods like Mole. This is the common name for some sauces used in Mexican dishes. If you do not want to order the beans via the internet, you can of course always use the raw cocoa powder you can buy in the food stores. Here are some tasty recipes with raw cocoa. I make sure that I have always set pieces of banana in my freezer for smoothies or this tasty ice cream. Peel the banana and cut into pieces and lay in the freezer for at least 4 hours. Put everything in the foodprocessor and pulse for about 40 seconds. Add a little sweetener like date paste, rice syrup or liquid coconut sugar. Preferably you serve the ice cream right away. If not, put it in the freezer and take it 30 minutes before serving. Also nice with some coarse sea salt and chiliflakes! Drain the cashew nuts and put them in a blender. Add coconut, banana and cocoa powder and mix to the highest position for 1 minute until it is well mixed and smooth. Divide over 2 cups and sprinkle with coconut chips and cocoa powder. You can also make hot chocolate from this. Then use 3 dates instead of banana and heat the liquid after blending in a pan (do not boil!). Mole is traditionally eaten with chicken but you can also eat it with enchiladas, empanadas, eggs or potatoes. Heat the oil in a bite pan on medium heat. Bake the onion glazed and add garlic and herbs. Continue stirring and add the tomato cubes, peppers, chipotles, broth, peanut butter and chocolate after 10 minutes. Simmer for 10 minutes and simmer to a smooth mass. 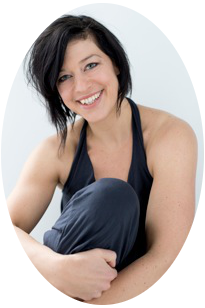 Thank you Jackie for sharing these recipes, you have an amazing way of making food fun and good for you too!